Sometimes fashion on the runways can seem simply ridiculous and costumey! At first glance this spring and summer fashion season is one of those times. However, using my 'style eyes' with you, a grown-up woman, in mind, I do also see fashion trends you can confidently, and stylishly, wear! Adding just a few new things to your wardrobe can really make you feel refreshed and rejuvenated. Something as simple as using a different color combination with the clothes you already have can also make your clothes feel new again. I've created this, my spring and summer fashion trends intrepretation, to help you pick and choose those items that will work for you. I'll start by summarizing the runway trends, then look at what's currently available in stores online. Andy Warhol inspired face and people prints on denim, tops, dresses, bags. Perhaps try on a tote, if you like this look? Mashed-up clothes -- a trench coat, cape combination; a half-cami-plus-sweater combo; half rhinestone trousers half jeans. Okay, this one's too wierd for most of us! However, if you're creative and can sew you could use the mash-up idea to create new garments from old ones. For instance: replace a worn out sleeve or cuff with one from another garment that has other worn out areas; add a patch or pretty applique over a moth whole and make a feature of it! Overall, the trend for increased volume continues. The volume comes from wide garments (oversized shapes 80s style shapes and wide pants), longer lengths (midis, maxis and full length pants), statement sleeves (especially puffed sleeves), texture, ruffles and layer-upon-layer of clothing. You'll find all kinds of florals: on dark and on light backgrounds. However, bold florals are particularly prevalent. Do take care to style your florals in a contemporary way. They can be aging otherwise. 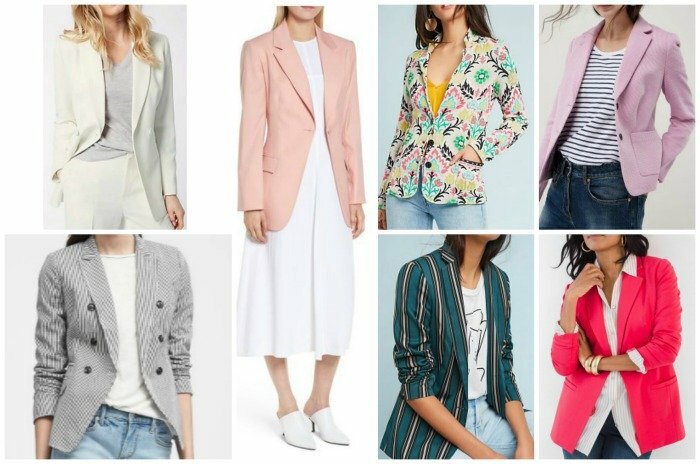 When blazers are being identified as a separate category on online stores you know they're having a moment! As well as a wide variety of blazers, you'll find many other jacket styles available. Try styling your blazer or jacket by rolling the sleeves, and/or pushing the sleeves up your arm. This particularly good for a more casual outfit. A 3/4-length sleeve is also a lot more flattering for many women. I'm seeing more sleeves than usual on tops and dresses. So, if you prefer to wear sleeves, now is a good time to shop for sleeved tops and dresses. 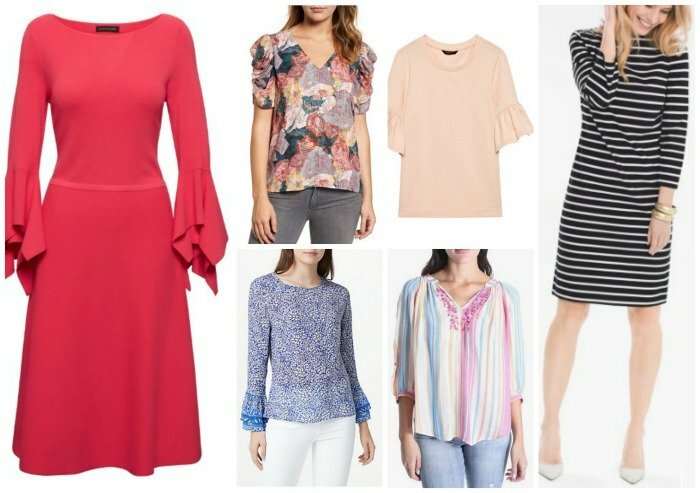 You'll find not only puff and other styles of statement sleeves, but also regular, straight, short, half, 3/4 and full length sleeves. There is still a good range of dress styles and lengths available. I'm seeing the fit and flare, floaty, feminine dresses that featured prominently on the runways. I'm also seeing a lot of wrap, and pseudo-wrap dresses. If you prefer a straighter shape, there are still shift and straight shirtdress styles available too. There's still a wide range of pant styles available. 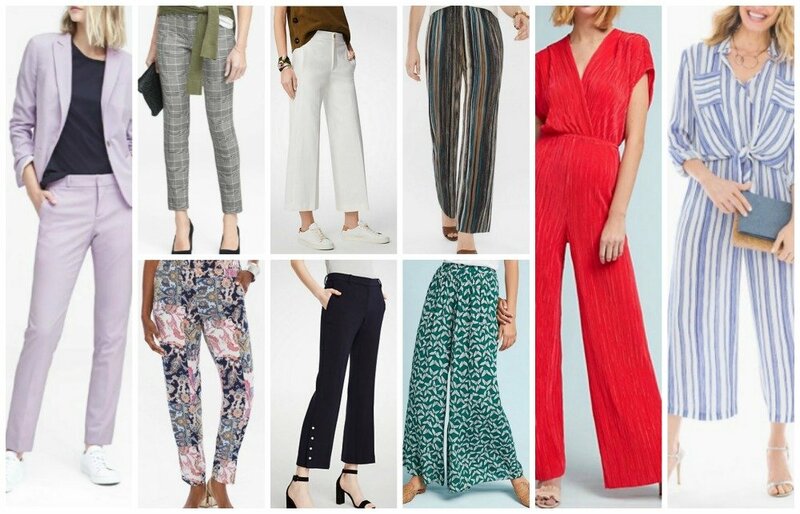 You'll find skinny to palazzo styles in both cropped and full lengths. I'm loving the wider styles combined with a more fitted top, or add structure to a larger top by tucking, or semi-tucking. There are also bootcut and flared styles available. When jumpsuit first re-emerged I thought it would be a passing trend. However, you'll still find a good selection of jumpsuit styles this spring and summer fashion season. The matching pant suit is also an emerging trend. Look for unusual colors, such as lilac, or emerald green in modern shapes. For example a cropped wide leg pant with a fitted jacket. Avoid the highly patterned fabrics, unless your personality is very 'out there'. You may have noticed in the pictures above that there are indeed many items available in pastels and also brighter colors. As well as florals you'll find stripes and there are still some checks available, especially gingham checks. 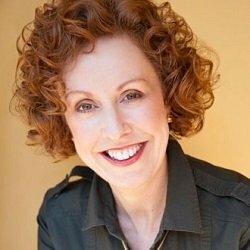 To try a new color, style, pattern, or outfit styling, the key to success is to have a good understanding of what works for your shape, your coloring, your personality, and your lifestyle. That together with a knowledge of what's current will help you create a wardrobe you love. Otherwise, it can feel as if you're always 'failing' at shopping.